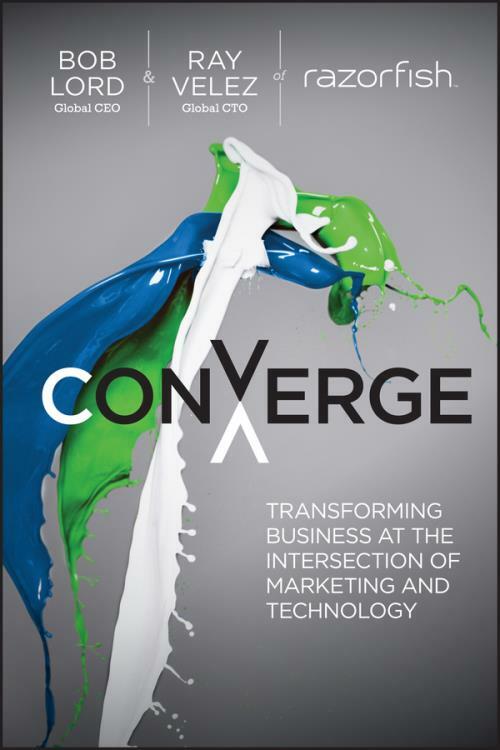 "Converge delightfully explains why marketing and technology have never been more intertwined and how your organization can and must adapt. If your job is about communicating on behalf of a brand—at an agency or client organization—and you′re looking for a practical and innovative guide to thriving in this age of disruption, this book is for you." —Tim Armstrong, CEO and Chairman, AOL Inc.
"As a CEO whose business is at the intersection of technology and marketing, I know how important it is to understand and adapt to this powerful shift. Converge tackles important issues for digital communicators in today′s hyperconnected marketplace. This book is not just a recap of the latest innovative technology; it explains how leaders can empower their teams to thrive. It should generate some great conversations." "At Razorfish, Bob Lord and Ray Velez have witnessed advertising′s technology–enabled shift from passive, traditional messages to the re–imagining of brands as services and experiences. With firsthand accounts and practical insights, their book makes a chapter and verse case for a future based on collaborative creativity and an open source agency model that can produce multiple ideas for multiple audiences. By dissecting the disruptions deployed by brands as diverse as AXE and Audi, Converge presents a cogent argument for a future where art and science intersect, where Data, not Don Draper, is the true messiah." BOB LORD is the Global CEO of Razorfish. He began his career as an engineer intrigued by marketing, not knowing that one day the disciplines would collide. Now, he leads Razorfish on its mission of creating brand experiences that build businesses. Additionally, he leads the world′s largest digital agency network for Publicis Groupe. Bob is also active in the TED community and a founding member of The Nantucket Project. RAY VELEZ is the Global CTO of Razorfish. His career has been devoted to the software development life cycle, from inception to rollout, working with clients ranging from Citibank to Ford Motor Company to the National Football League. He previously worked at Cambridge Technology Partners.